TV advertising of kids' bikes paid off for Halfords. Halfords has reported bumper sales kids’ bikes in the run-up to Christmas. The category was up by nearly 14 percent, reveals the retailer’s latest financial statement. 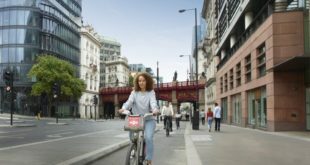 "With the right product and service offer, a bike remains a popular Christmas present," said Halfords’ CEO Matt Davies, who leaves in the summer to take charge at troubled supermarket Tesco. Retail sales grew by 6.8 percent in the 15 weeks to January 9th. 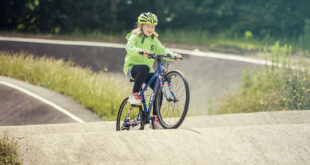 The financial statement from Halfords said there was "continued growth" in the cycling category in the final quarter of 2014, with childrens’ bikes the "standout performer." 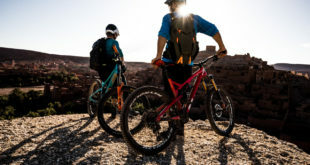 Sales via the company’s website grew by 16.5 percent – online sales now represent 12.9 percent of total retail sales for Halfords, and as other retailers have found it’s "click and collect" driving the growth. Halfords is also going upmarket – its first Cycle Republic store opening earlier this month in London, with a another opening at the end of January.